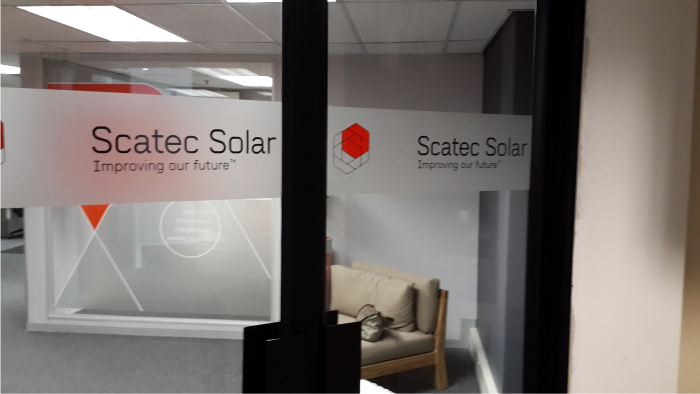 Vinyl window signage from Rocket Signs will transform your empty shop front window, into an attractive advertising space, that enhances your brand or product. Vinyl window decals can heighten your business and product appearance to potential customers, with news of promotions, sales, store hours, new inventory, or your company logo. Vinyl window decals are a crucial driving force for attracting new customers into retail or store front business. 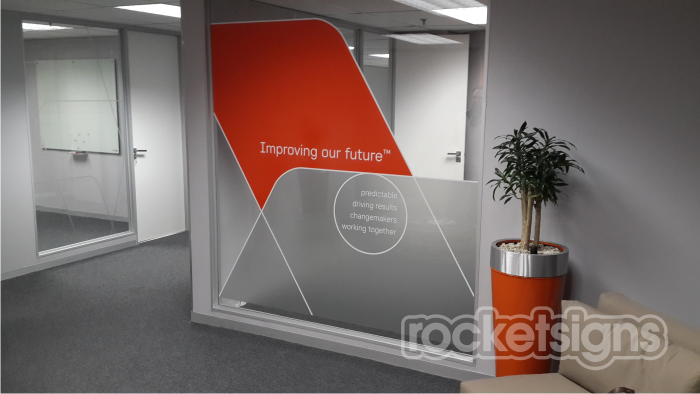 Vinyl window decals can be applied to any glass surface, with full color graphic front and adhesive backing, Rocket signs’s advanced signage technology creates vinyl window decals that are easily applied, full of vibrant colors, and look great for years. 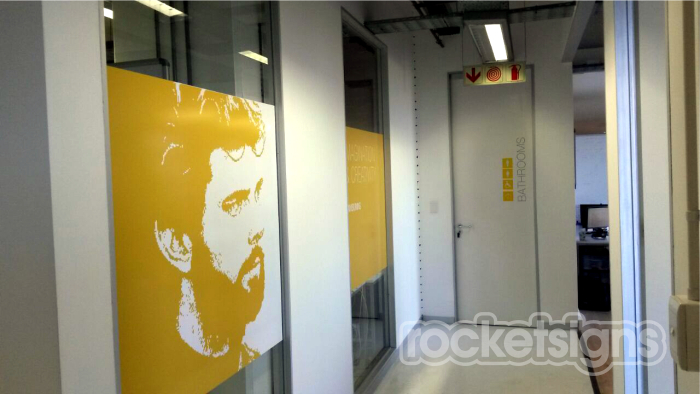 Turn your office window or shop front into a billboard! One-way vision graphics are digitally printed in full color, on a perforated self-adhesive vinyl, allowing you to see out the window from inside, while blocking the viewing capabilities from outside. One-way vision graphics produced by Rocket signs, is a great way to advertise on shop fronts whilst maintaining visibility and light inside your store or office. One-way vision graphics are also great for areas requiring privacy, as the film allows only one-way vision. Rocket signs also supply One-way vision graphics for the rear window of your cars and vans to provide full color advertising of your brand for all following traffic to see.